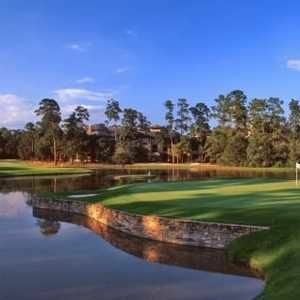 Panther Trail, The Woodlands, Texas - Golf course information and reviews. 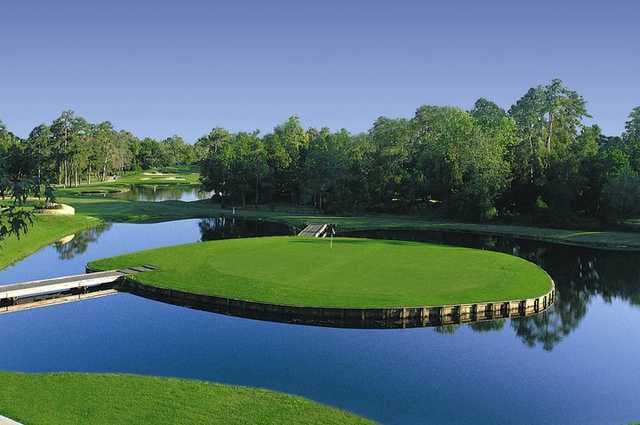 Beautiful golf course. The $38.97 total was for an after 4:00pm super twillight rate, which included cart and all the range balls you could hit. The greens were very fast and in excellent condition, as were the fairways and tee boxes. The only complaint I had was that we only saw the beverage cart girl one time the entire round around hole #4 and almost every water cooler at the tee boxes were empty, except for one around hole #16. The heat index was approx. 102 - 105°F. If I had not brought a couple of bottles of water in my bag, we probably would not have survived!!! Other than that, we had a great time and would recommend this course to all. I will definitely play here again. 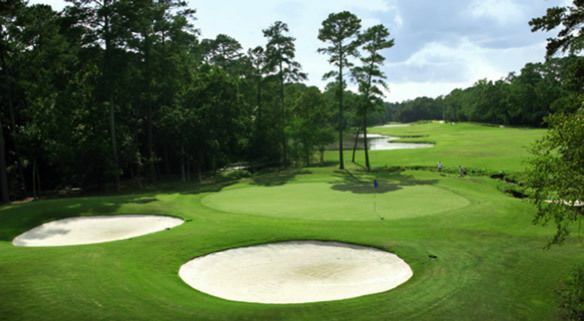 Add a course review for Panther Trail. Edit/Delete course review for Panther Trail.